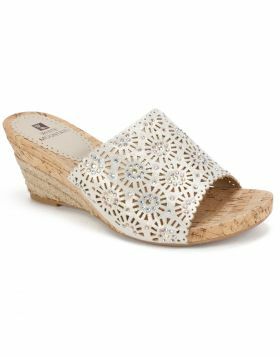 The elastic criss-cross straps of the Hudlin peep toe espadrille wedge sandal by White Mountain shoes hug your feet with chic summer style. 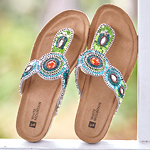 Featuring a metallic linen upper, this versatile style is a must have. 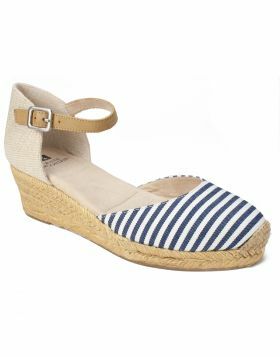 The elastic criss-cross straps of the Hudlin peep toe espadrille wedge sandal by White Mountain shoes hug your feet with chic summer style. 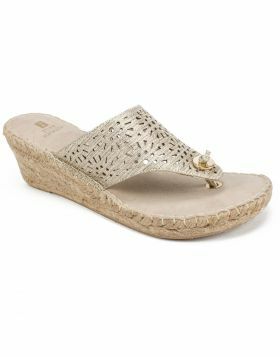 Featuring a metallic linen upper, this versatile style is a must have. 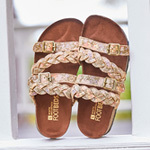 Heel height: 2 1/2 inches.